We are Falling Acorn, a group of craftsmen who not only take great pride in our work but also view it as a form of art, using what nature has offered, to build structures that will last for generations. We aim to minimize toxins in our building environments by using natural products. We have been involved in straw bale houses, Light clay/Straw infill builds, and earthen plasters. Our focus is on small print houses (500-2000 sq. ft.) although there is no project too big or too small. It’s an age-old method of using heavy timbers to create framed structures, jointed together with mortise and tenon, and secured with wooden pegs rather than nails, screws, or metalwork. Well-crafted wooden structures are remarkably strong and durable and can last for centuries. We use locally sourced timber whenever possible, creating valuable relationships both personally and economically, which allows for a consistent quality and end product. We precision cut / fit the joints / sustainable building, personalized process stuff goes here. 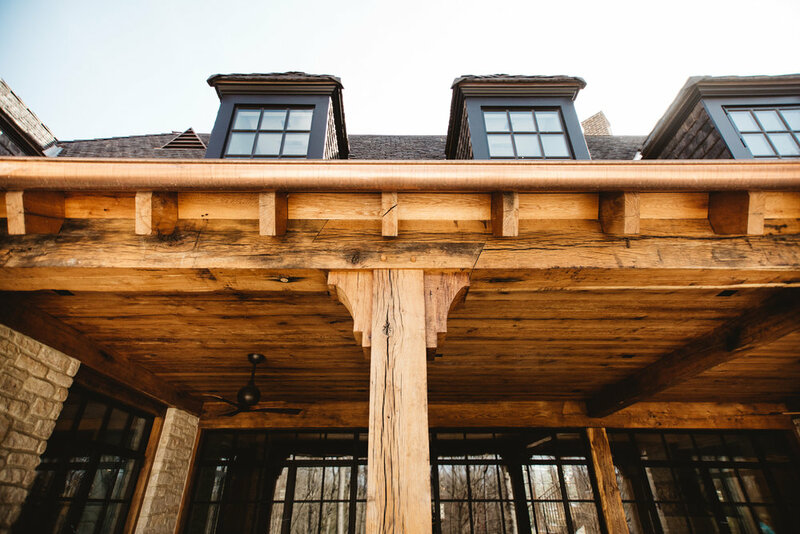 With a Class A contractors license, A traditional method of creating framed structures of heavy timber jointed together, commonly and originally with lap jointing (post and beam), and later with mortise & tenon, secured with wooden pegs (timber framing). Custom timber framed structures are remarkably strong and durable. All images owned by Falling Acorn.